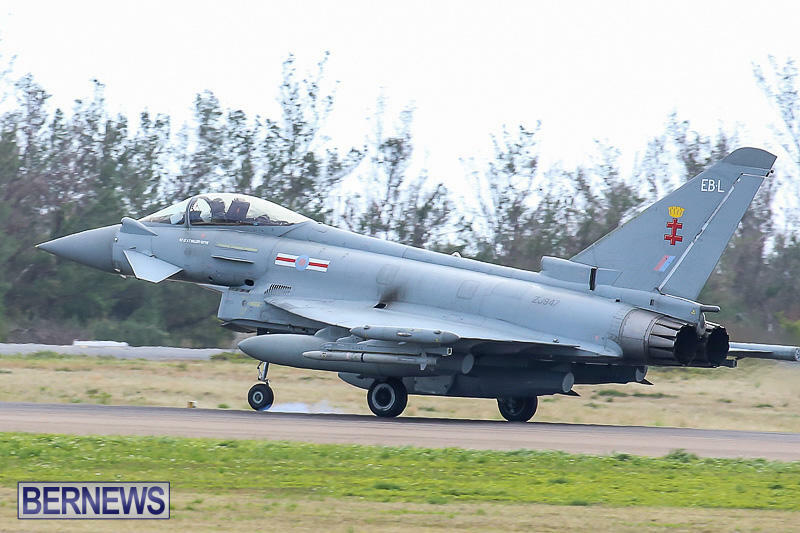 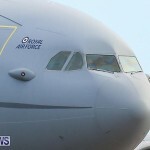 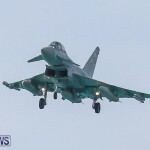 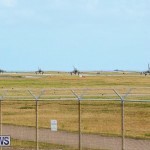 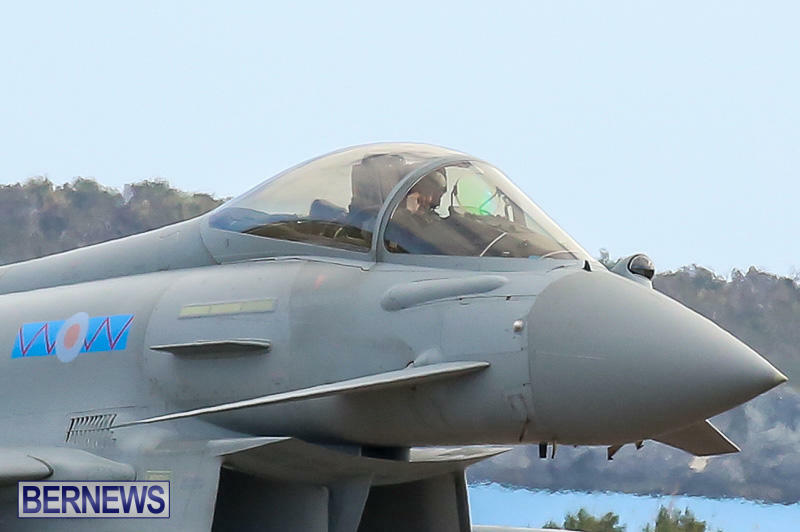 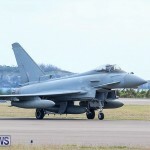 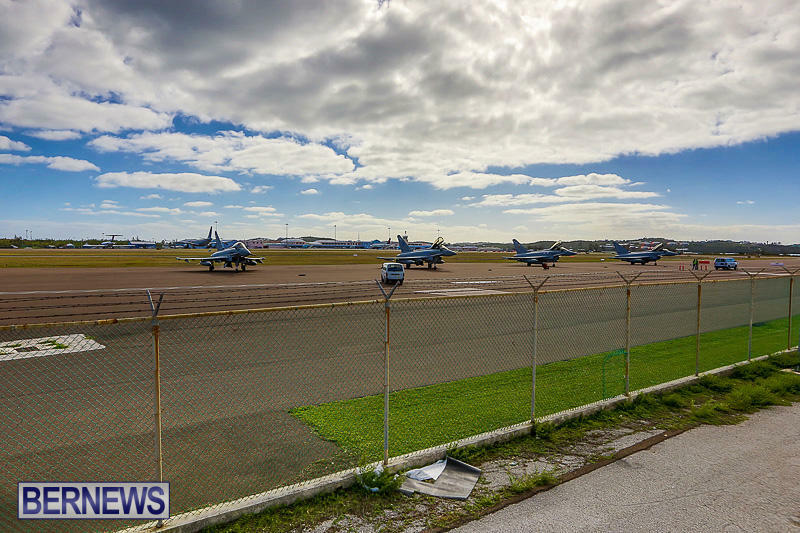 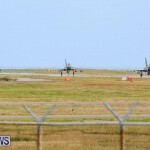 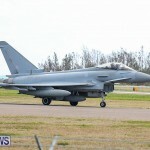 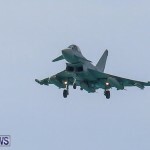 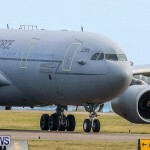 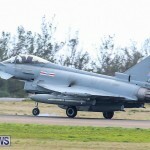 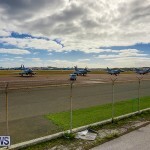 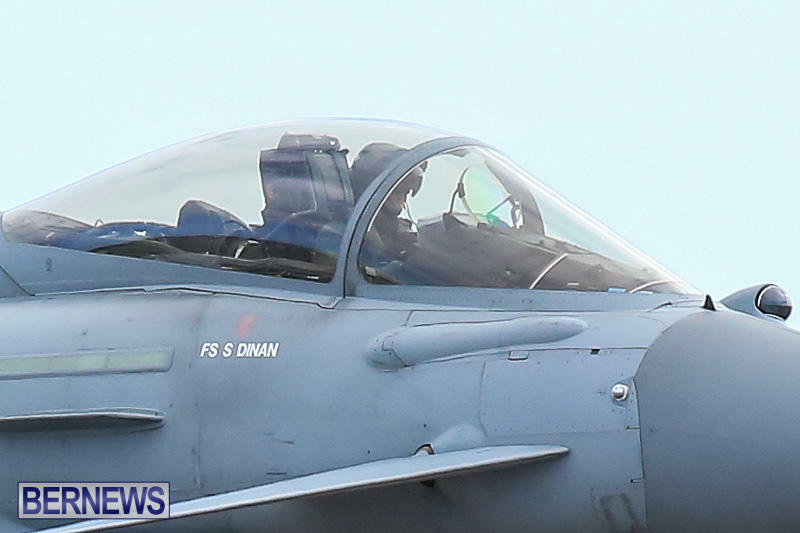 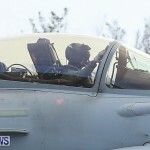 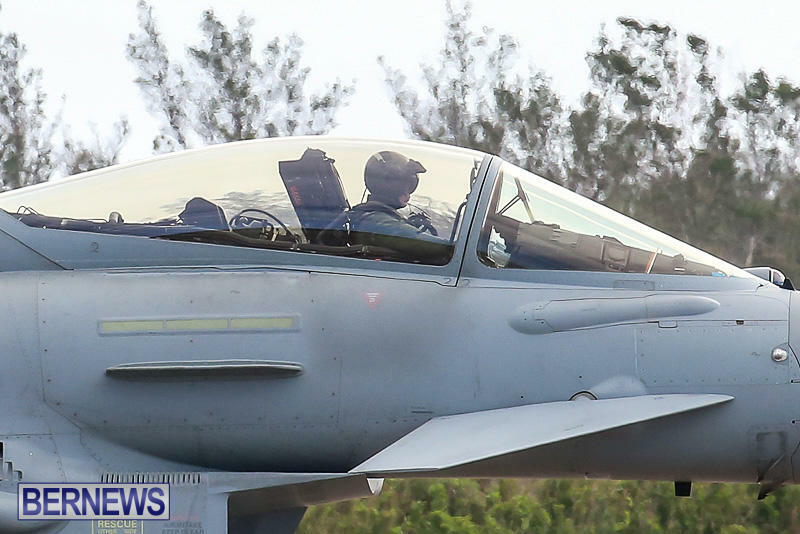 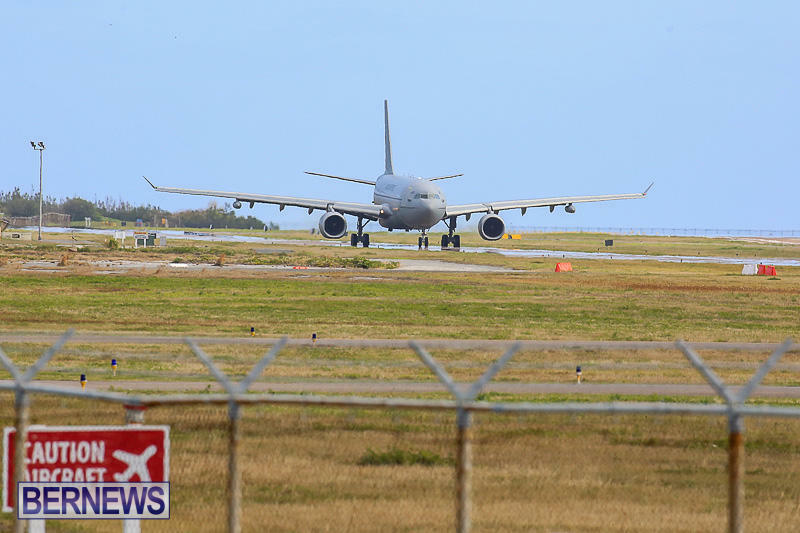 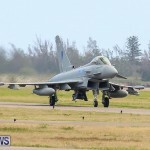 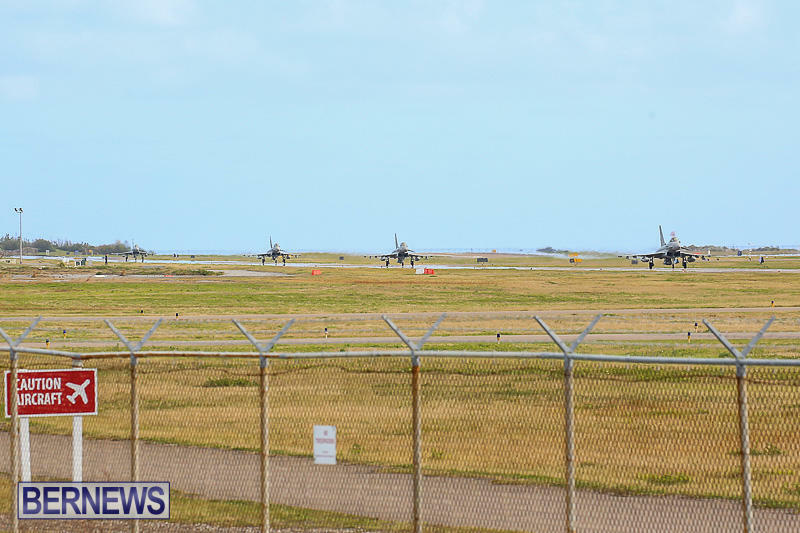 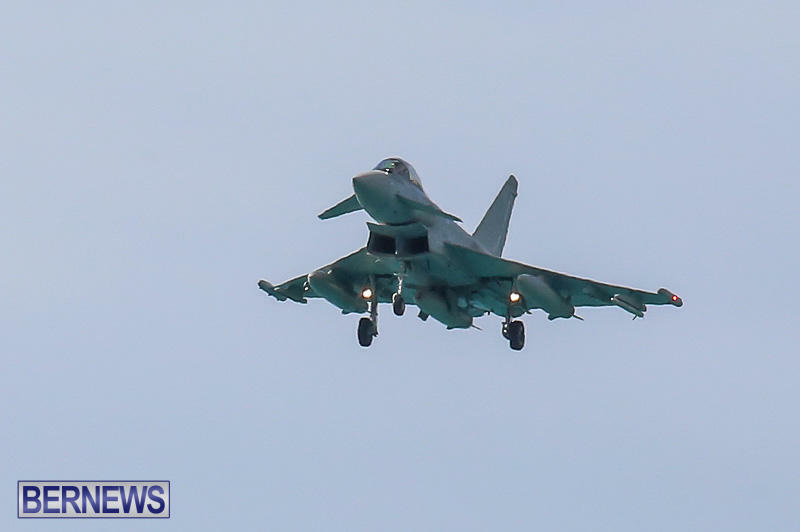 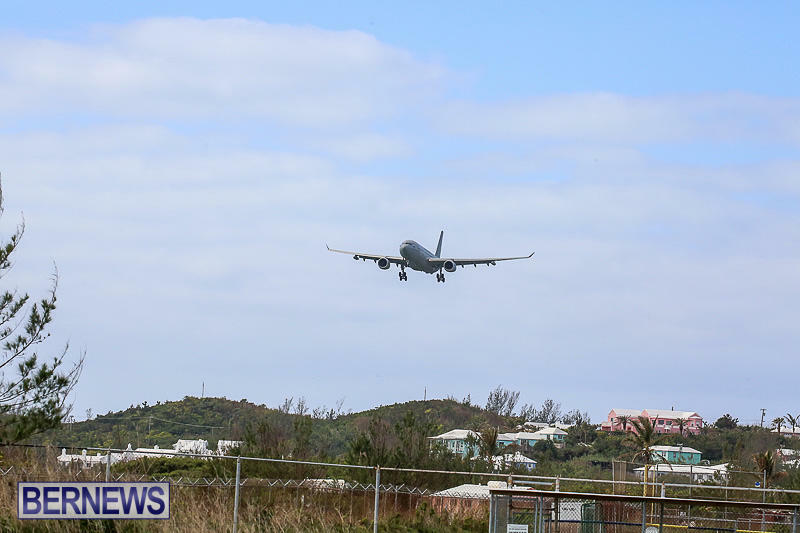 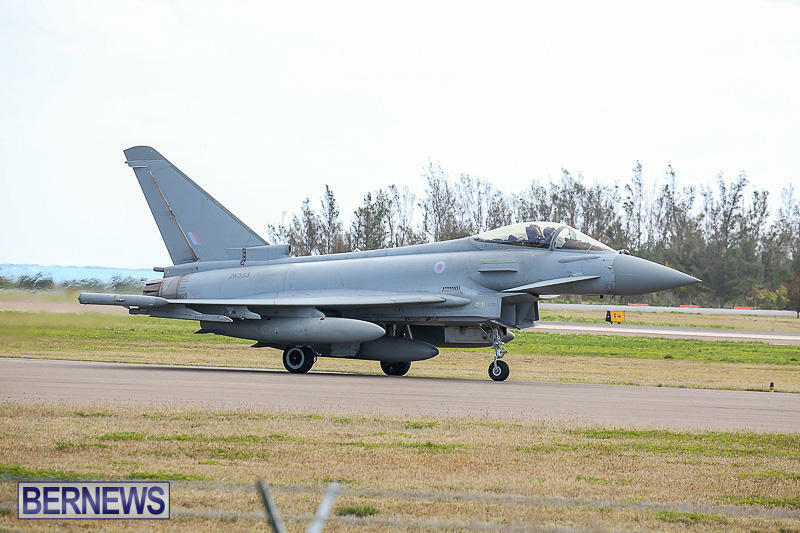 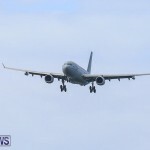 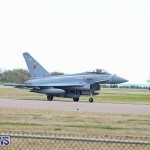 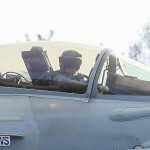 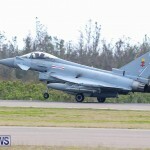 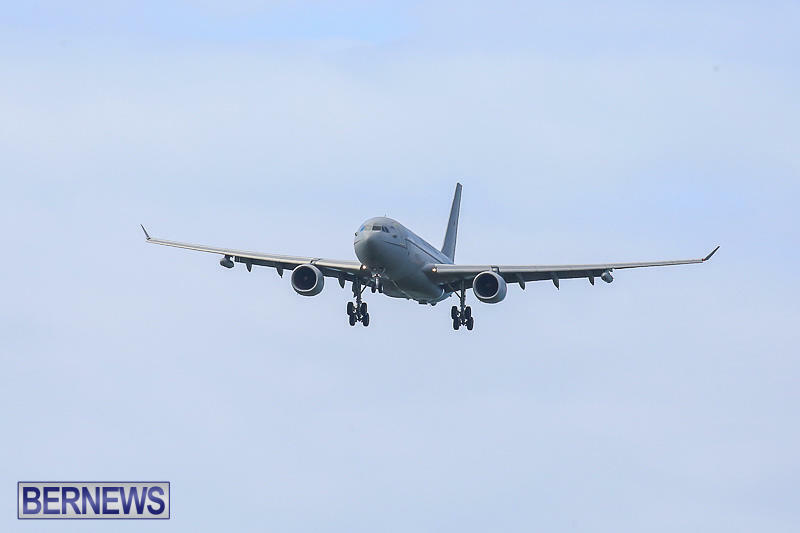 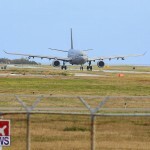 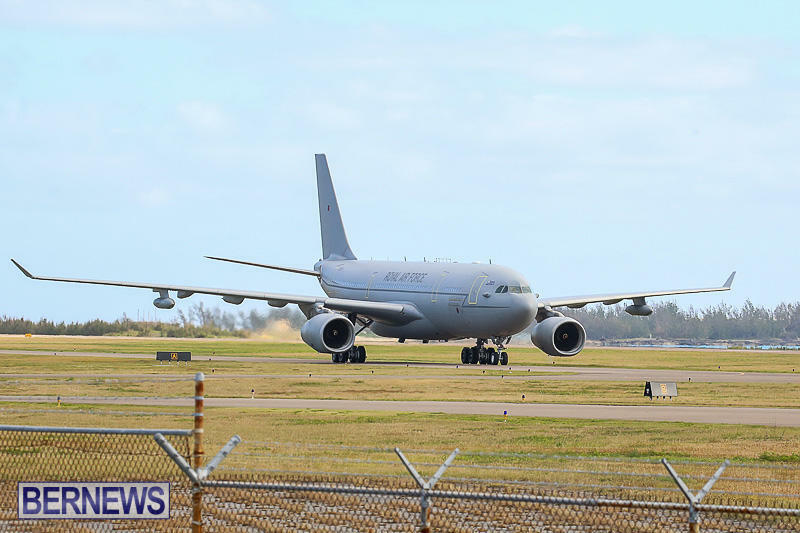 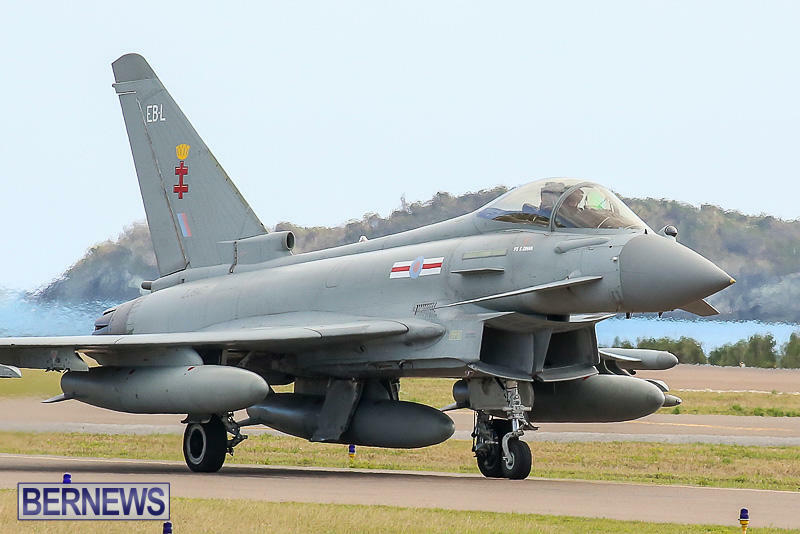 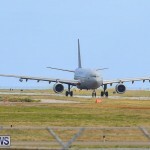 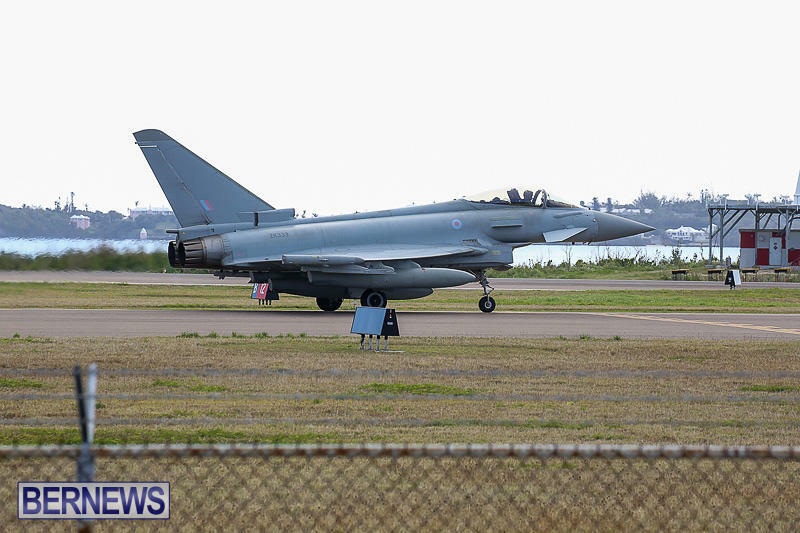 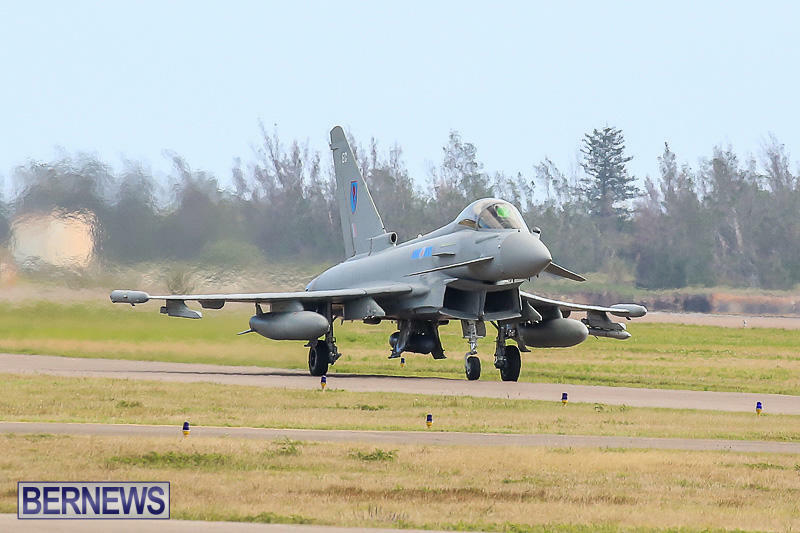 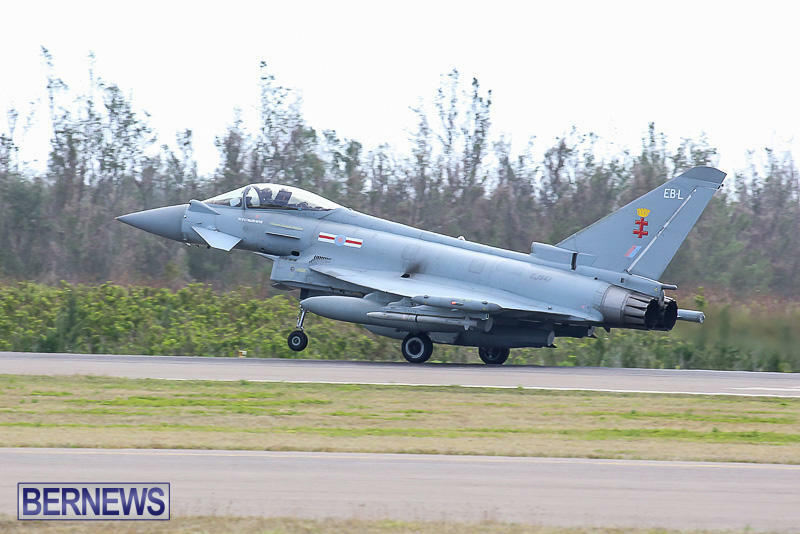 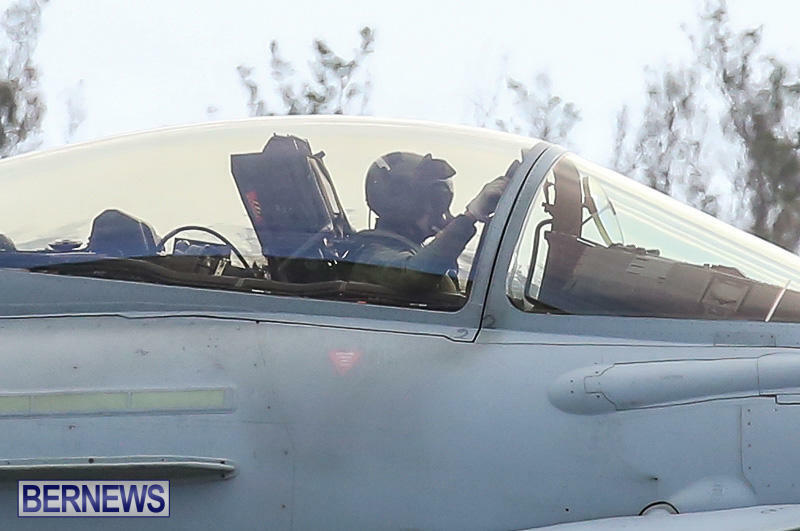 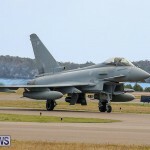 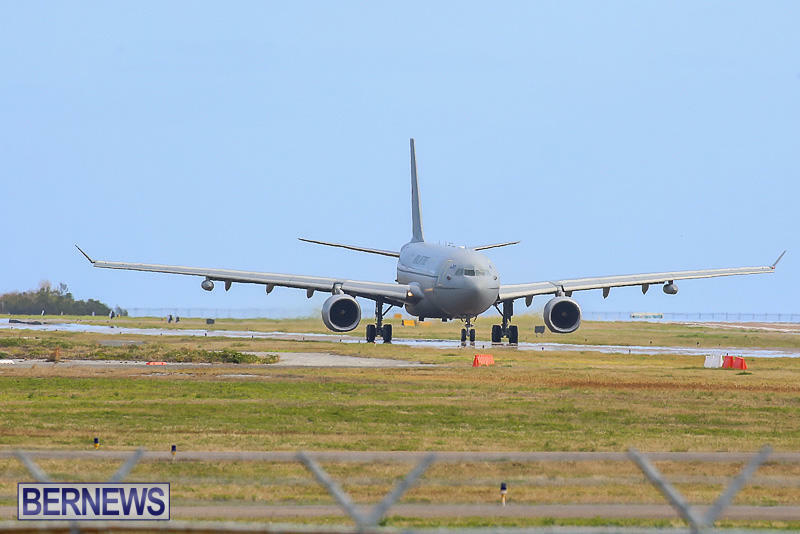 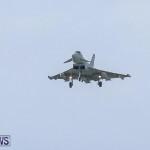 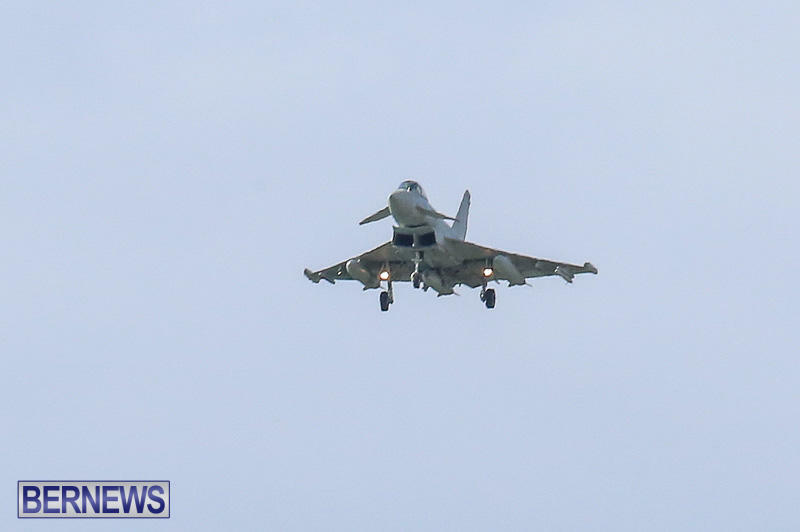 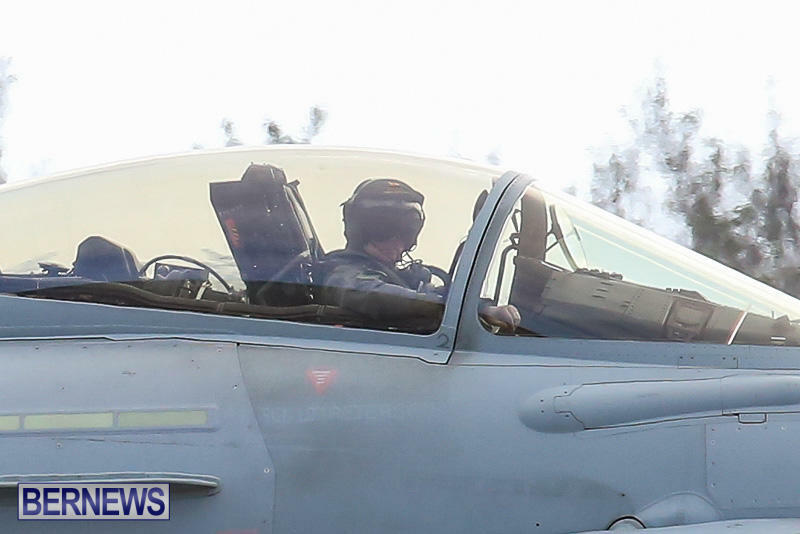 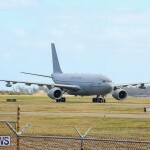 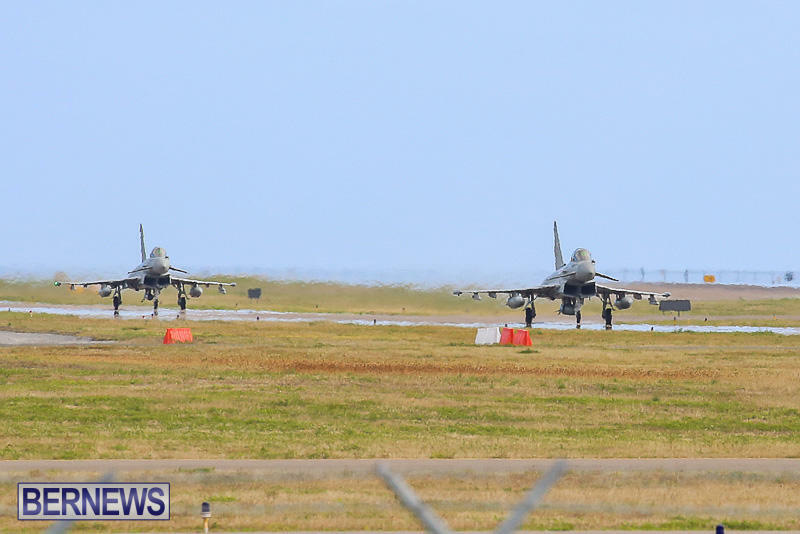 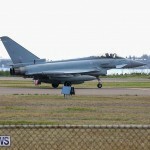 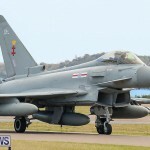 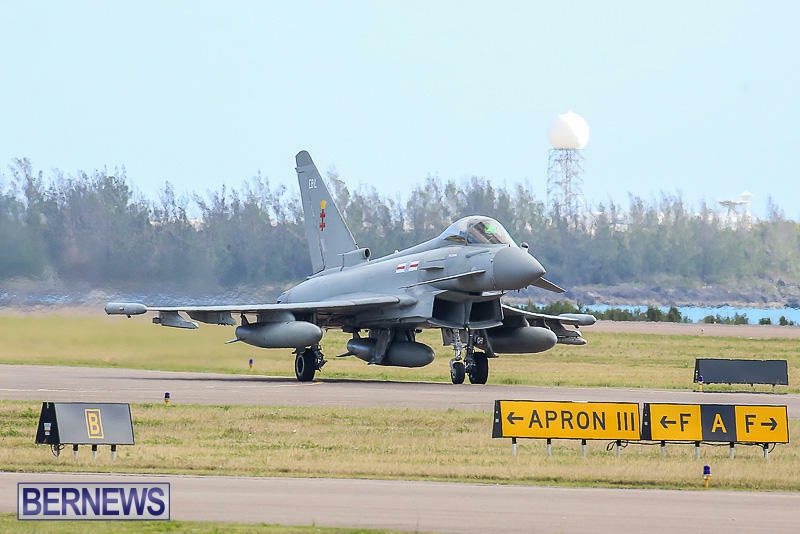 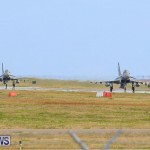 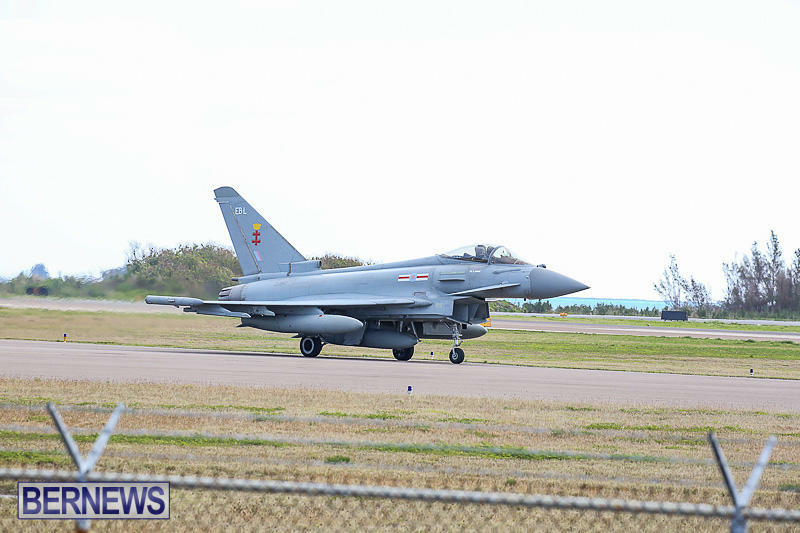 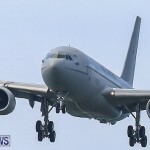 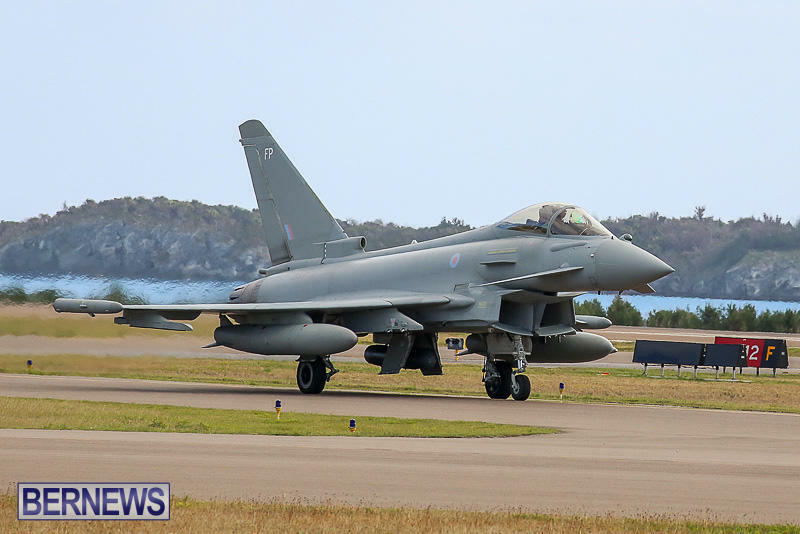 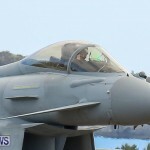 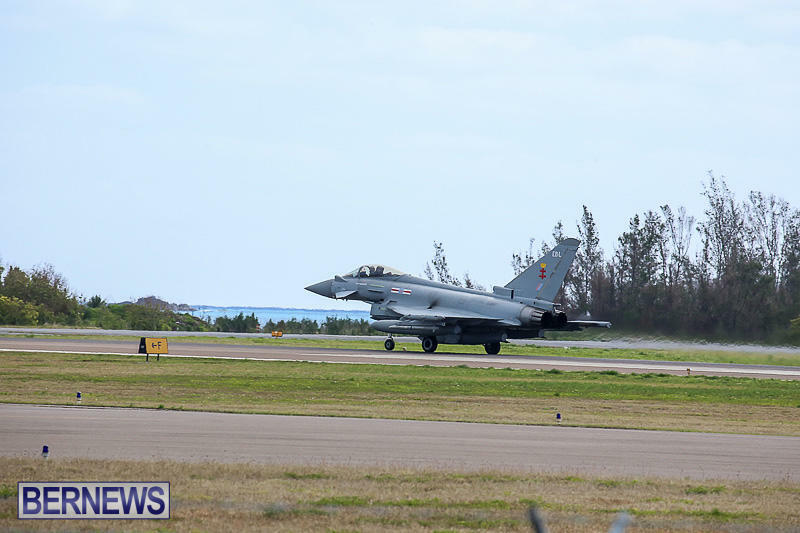 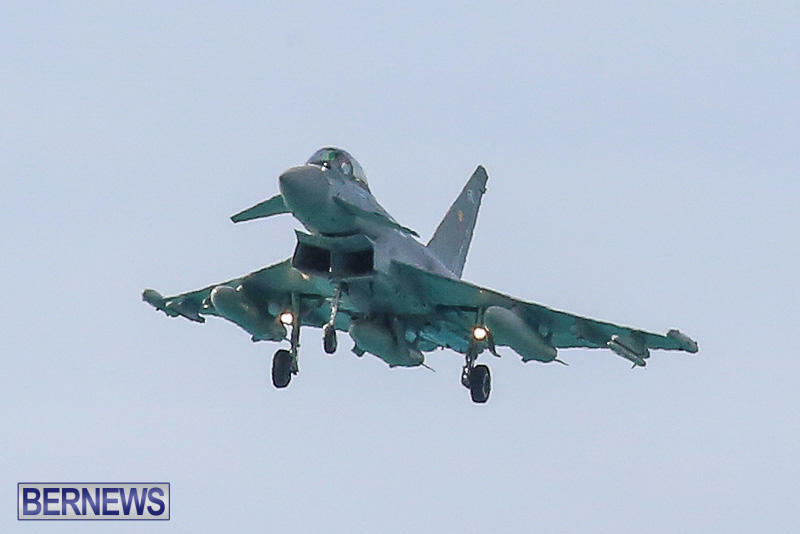 [Updated with video] This afternoon [Jan 13] aircraft from the Royal Air Force [RAF] landed at LF Wade International Airport including an A330 Voyager tanker and 4 Typhoon fighter jets, having arrived from Lajes Air Base in Terceira, Azores. 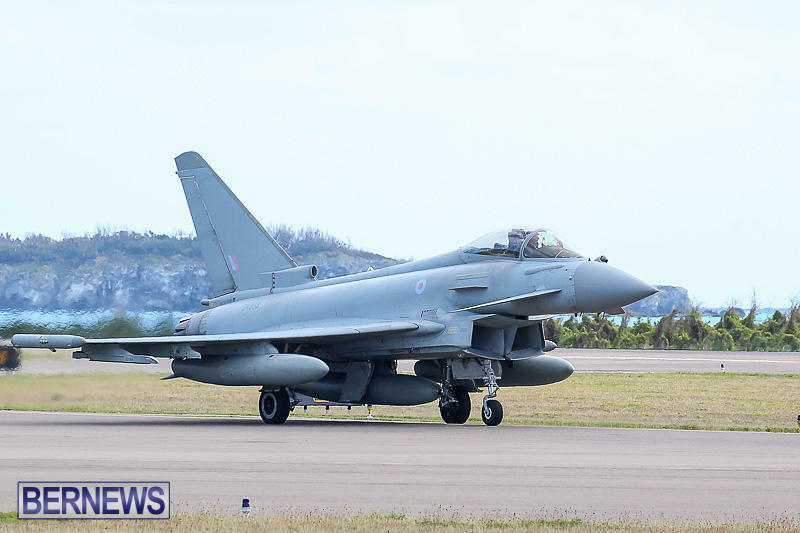 The group are on their way to the annual Red Flag Exercise in Las Vegas, Nevada where the exercise gives pilots the experience of multiple, intensive air combat sorties in the safety of a training environment. 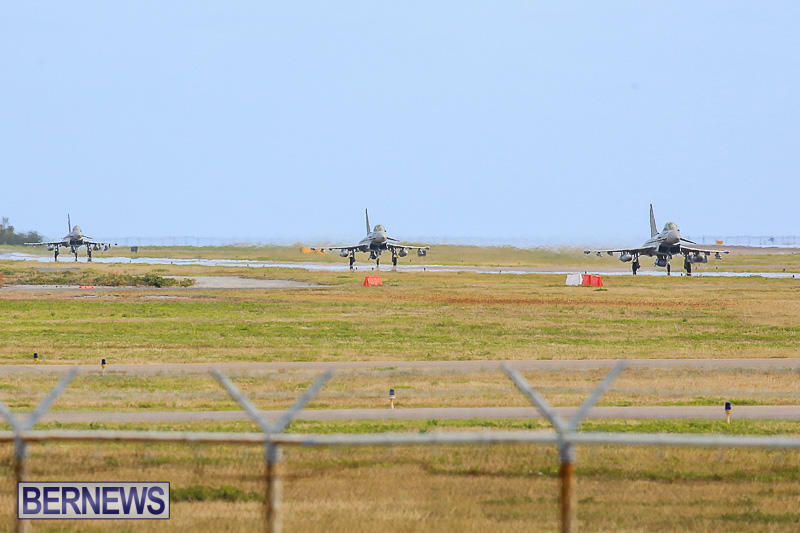 Red Flag is the US Air Force’s premier air-to-air combat training exercise and participants often include both US and allied nations’ combat air forces. 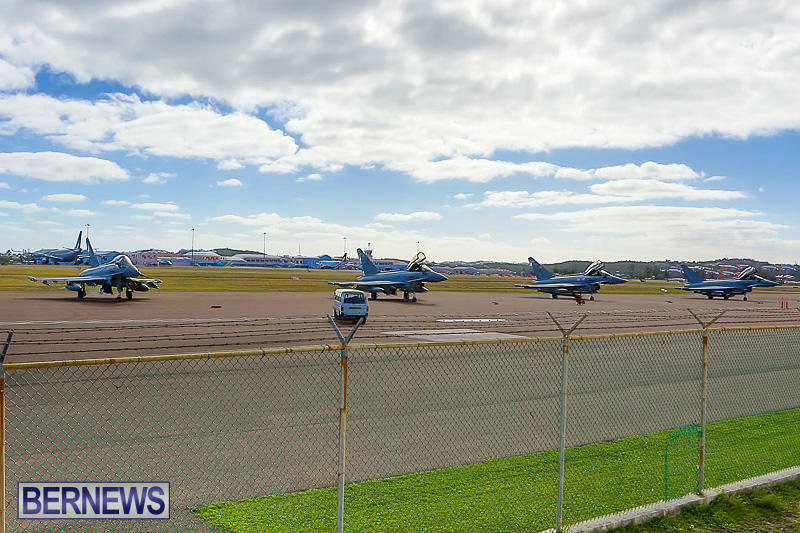 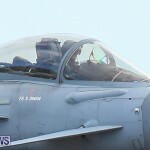 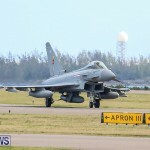 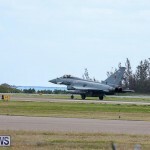 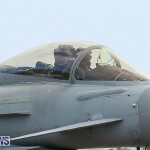 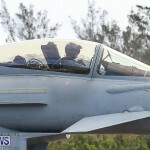 It is not unusual for military aircraft to stop by Bermuda to refuel and for other purposes,and you can view past coverage by clicking here. 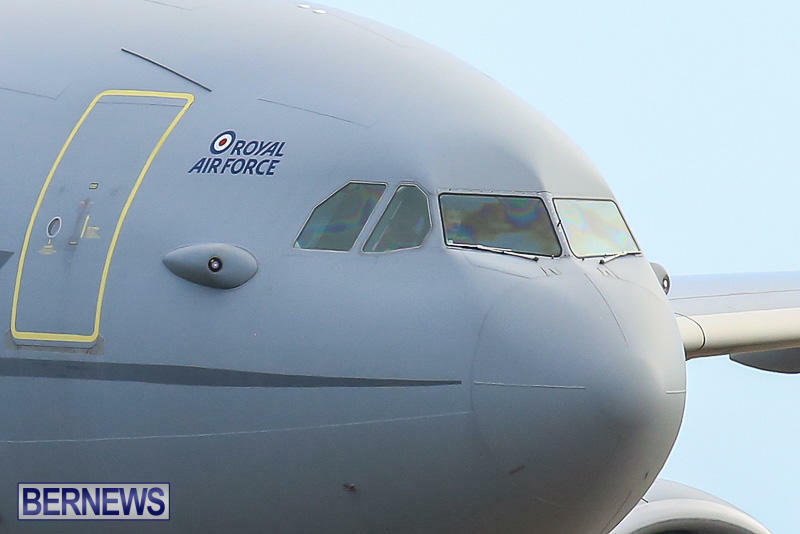 I don’t suppose anyone knows when they are leaving? 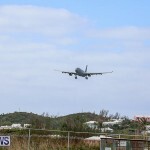 Or have they already left? 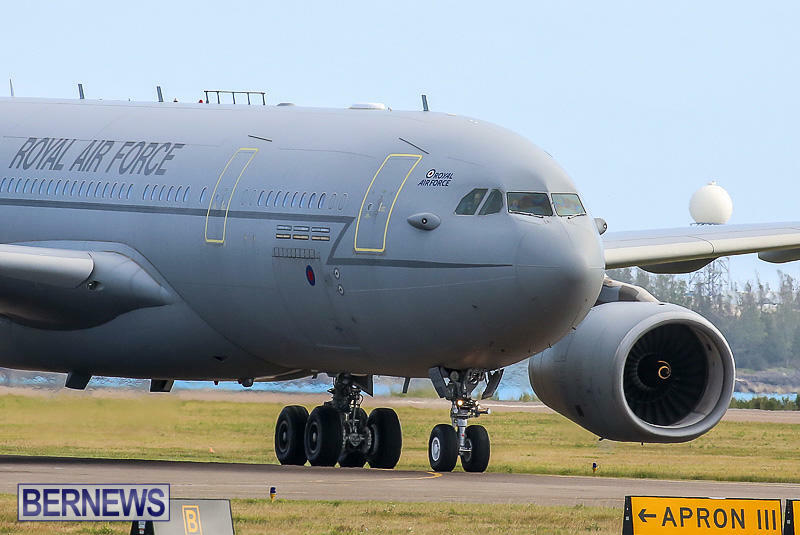 Would love to drive down and watch them take off. 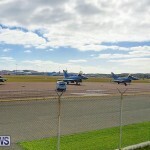 They are still here as of 4pm Sunday, I watched them all land again. 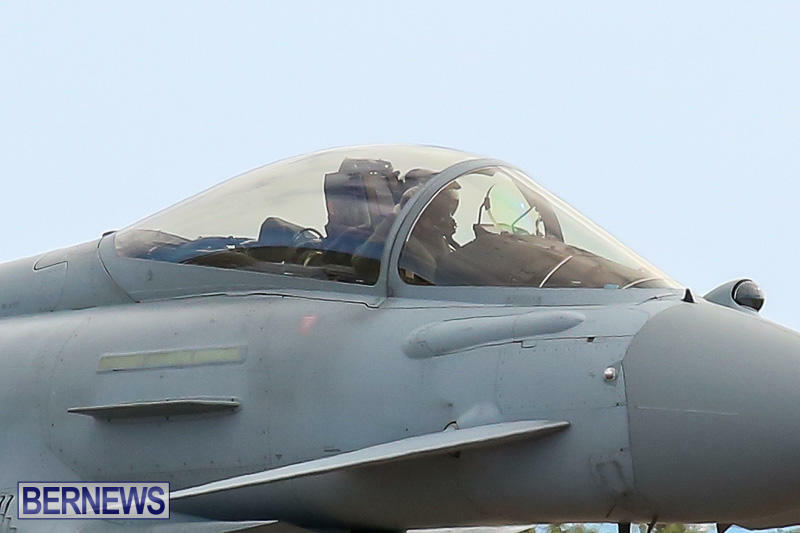 Unless they plan to fly tonight, I imagine they will be there Sunday morning still. 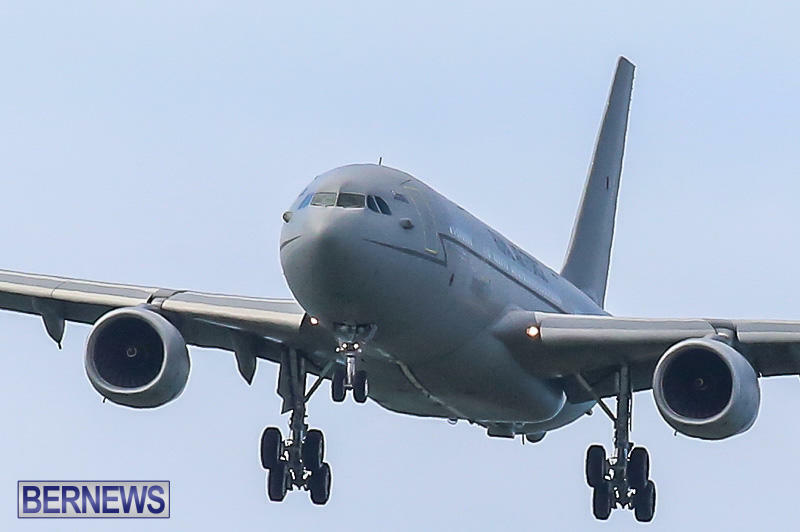 They flew out earlier and landed again this afternoon.